New Zealand fought hard in the ODI series against India, but in the end, they lost 2-3 and what's worse, were bundled out in the final ODI for just 79. 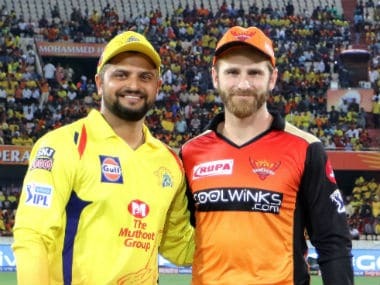 Going into the final match with the series level at two matches apiece, the Kiwis would have been very hopeful of effecting an upset, especially when captain Kane Williamson won the toss. It wasn't to be. New Zealand's leading run-scorer in the series, Latham, was impressive throughout and regularly gave his team solid starts. His 244 runs in the series is the best return ever by a New Zealand batsman in a ODI series in India, going past the 234 runs that Nathan Astle made in 1999. His average of 61 across the five matches was comfortably the best by a New Zealander. Guptill scored just the one half-century - the 72 he made in the win in Ranchi. Other than that, he had a poor series to go along with his slim pickings in the Tests. He gets an extra mark for his over in the second ODI in Delhi, in which he managed to claim two of the least deserved wickets in the history of ODI cricket. By the ridiculously high standards that Williamson has set for himself, this was a poor series. He scored 211 runs at an average of 42.2, including the only hundred by the visitors in the series. He had to battle for that hundred and was clearly struggling throughout, having lost a lot of weight in the week before it as a result of sickness. If New Zealand were to chase down the 270 they needed to win the final ODI at Visakhapatnam, they needed Williamson to score big, but when he fell it fell apart from the Kiwis. He was the second highest scorer for New Zealand, but it was not a vintage Williamson series. This has been a really challenging tour for Taylor, and in this ODI series, he struggled. He managed just 119 runs at an average of 23.8 with a high score of just 44. 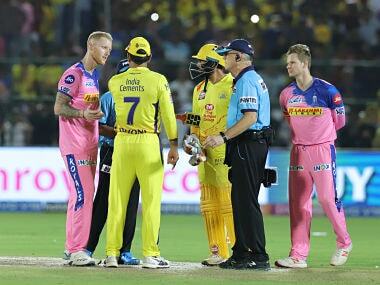 During that innings of 44, he had started to look as assured, before he was completely deceived by an Amit Mishra leg break and MS Dhoni stumped him. Combined with his poor batting form, he dropped two catches, one of which let off Virat Kohli early on in his innings of 154 not out in the third ODI at Mohali. He was brought into the Test side as a specialist batsman, but Ronchi favours ODIs. Unfortunately, he did not find any success with scores of 0, 1 and 6 in his three innings. He kept wicket reasonably well, but his batting was a concern and eventually he was replaced by BJ Watling for the last two matches. A fifty in the third match, his first in ODIs, was enough to see Neesham promoted to number five for the last two matches, but he managed two single-digit scores higher up the batting order. Neesham picked up a couple of vital wickets - four in total - but his bowling was expensive and he went at 6.22 runs an over across the four matches that he played. Neesham has real talent and it is great to see him back in New Zealand colours after injury issues earlier this year, but he didn't have a great series in India. 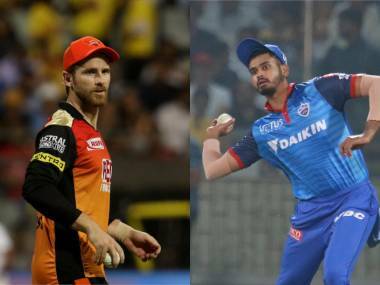 He is a hugely exciting cricketer and was well-placed to succeed in India with his extensive experience in the IPL, but he was poor throughout. He only bowled in one innings, the final ODI, and scored 31 runs in his four efforts with the bat. His batting average of 7.75 and strike rate of 53.44 don't come close to showing what a fantastic player he is. Disappointing with the bat, although batting at No 8, he did not have a huge amount of opportunity to play an innings of substance, but Santner impressed with the ball. He only managed three wickets across his five matches, and went wicketless twice, but he bowled 46 overs in the series and conceded just four an over throughout. When Daniel Vettori retired it was difficult to imagine New Zealand finding a replacement, but Santner can be that man. 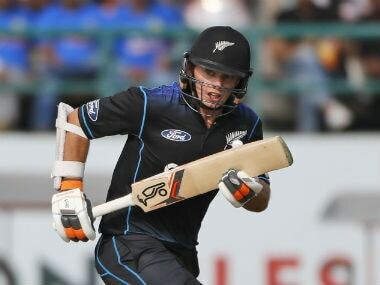 With seven wickets in five matches, Southee was New Zealand's leading wicket-taker. Taking on bowling at the tough times at the beginning and the end of the innings, Southee was a bowler that captain Williamson could rely on and was canny with his changes of pace. He was a touch expensive with an economy rate of 5.47 runs an over, but he impressed in conditions that are not easy for the quicker bowlers. Boult had one fewer wicket than Southee, but he had a better economy rate and a better average. Consistently impressive with the new ball, getting it to seam and swing, Boult was also able to pick up a wicket or two with the short ball. Boult is probably second only to James Anderson in terms of getting the ball to swing late, and he was able to do that regularly even in India where it is far harder to do so. When Sodhi played, he did a decent enough job, but with four wickets at 38 and an economy rate of over six an over in a series where the par score was under 300, he wasn't a standout performer. He took two wickets in the final ODI but they cost him 66 runs in 10 overs. Sodhi has the talent to be a frontline spinner for New Zealand, but with Santner in the side and improving, you fear his chances will only come in spin-friendly conditions in Asia.